Somehow, I lost it midweek. What happened? Little by little I am coming back onto the Lenten track, but it is hard. This has helped. All I'd done before was the greenery. Blessings as we begin a new week of Lent. 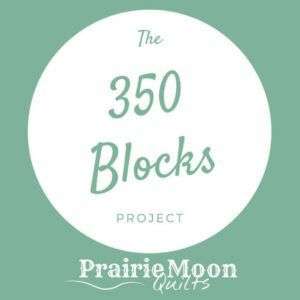 So glad you have moved through your troubles and sought God's help and comfort to allow you to work with your hands on some beautiful blocks. I'm glad you mentioned the meditative state of sewing. For the longest time--years, I sewed without radio, tv, etc. Just the hum of the machine was what I needed. It wasn't until a friend commented she would lose her mind to sew like that. I guess it was then that I realized that was the part of sewing I enjoyed most. It was recentering my mind, my heart, and my soul. I do listen to the radio more now, but it needs to be 'background' noise. 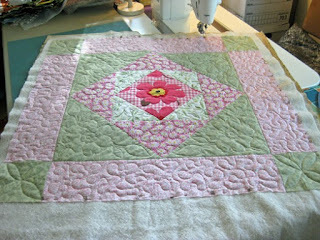 I love seeing how many projects you move through, and how you count your fabric 'losses' each time. Your loss is always another's gain. 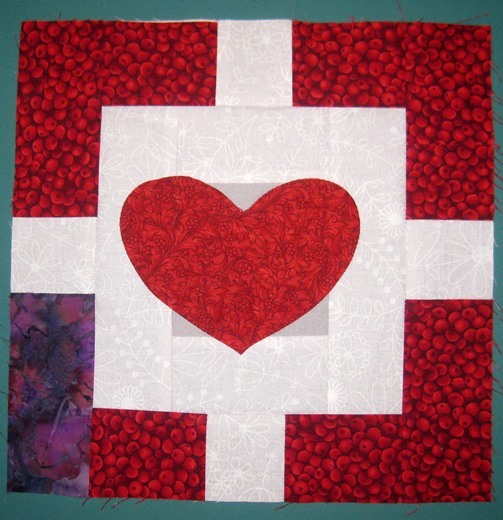 What a pretty RED block for the Rainbow Scrap Challenge!! 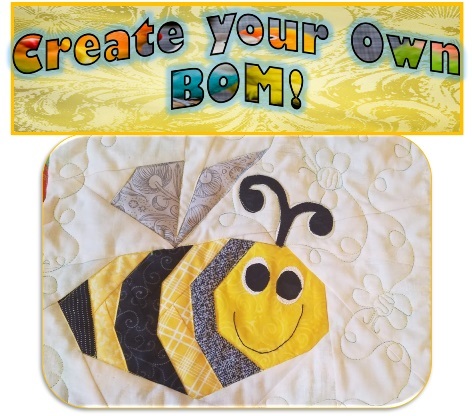 I find sewing relaxing, but didn't think of it as meditation. 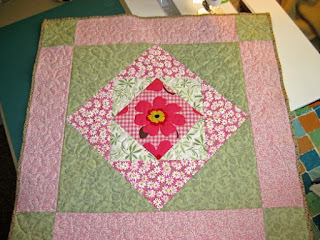 So love your pink quilt and the quilting is so nice. And congrats on a finish! Sewing is healing for me also. 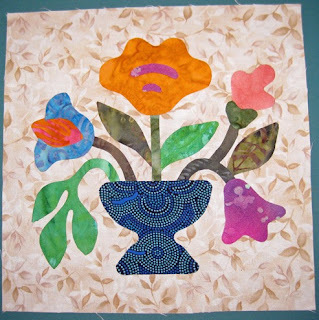 Your applique block looks fabulous! Looks like you had quite a bit of time to meditate. 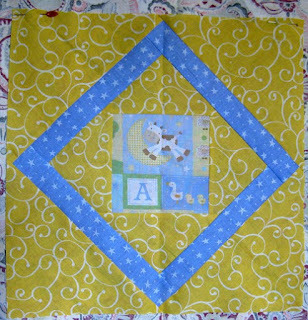 =) Sewing is the peace-bringer of activities. Combining with pondering spiritual things, I don't guess you can beat that. 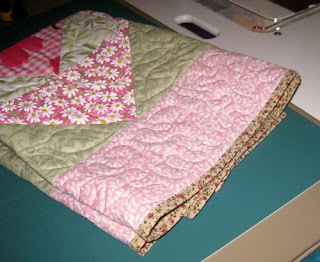 The little pink quilt looks so sweet now it is all finished and bound! Thank you for linking up with Free Motion Mavericks.